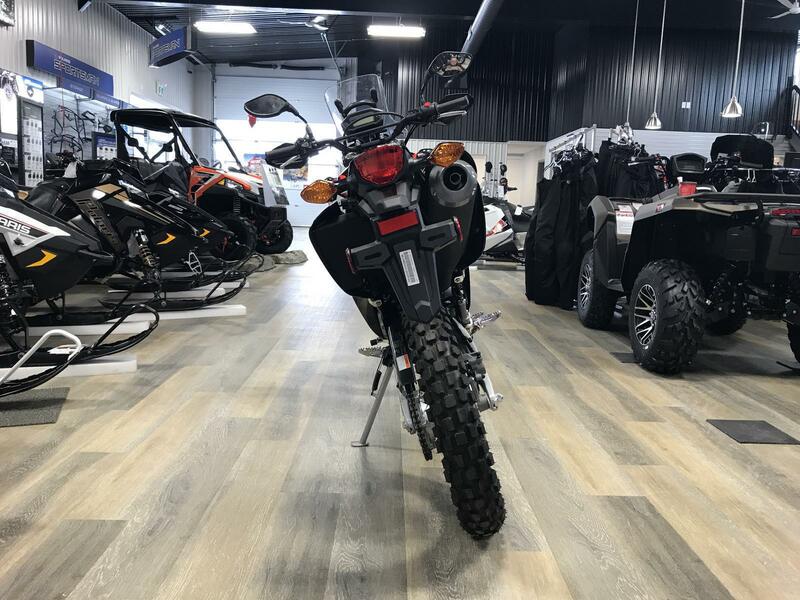 Compact and sophisticated liquid-cooled DOHC 249 cc single-cylinder four-stroke engine produces smooth and consistent torque at low rpm, plus excellent high-rpm performance. 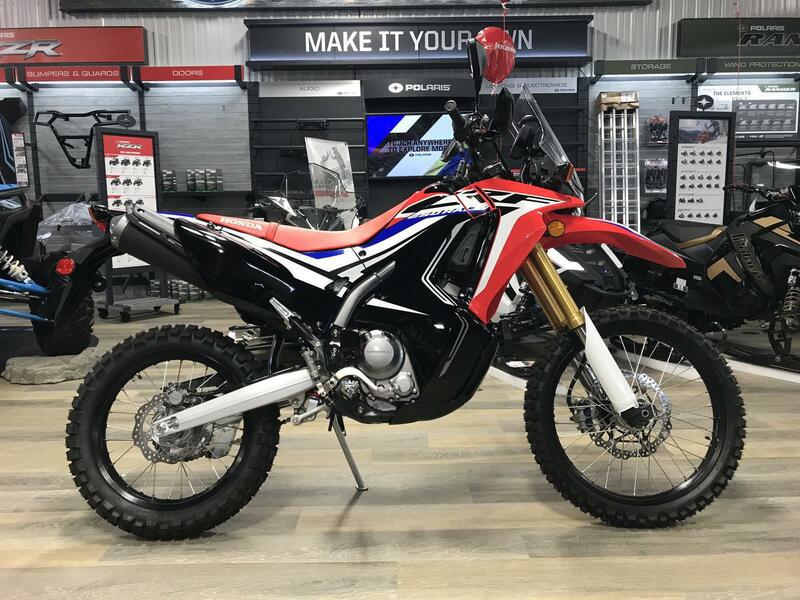 The engine''s wide spread of power makes the CRF250L easy and confidence-inspiring to ride, while also returning impressive fuel economy. 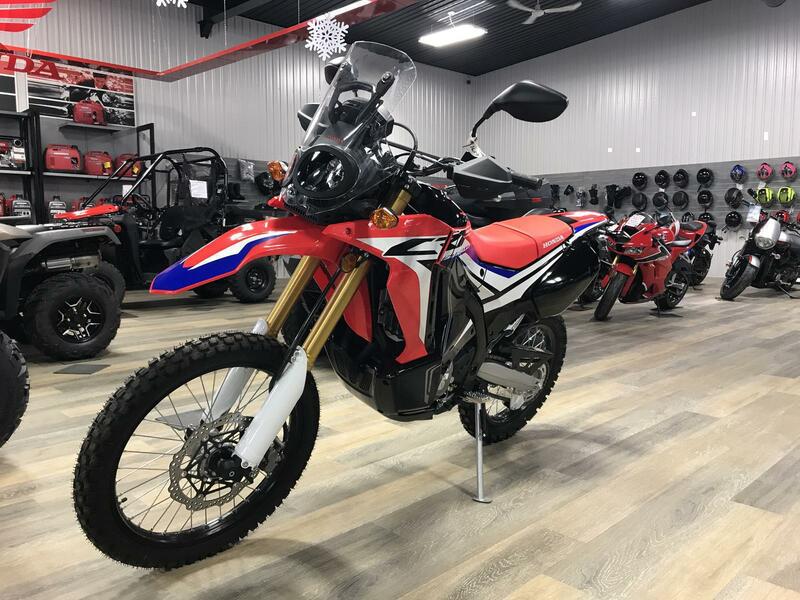 Power your adventure: Compact and sophisticated liquid-cooled DOHC 249 cc single-cylinder four-stroke engine produces smooth and consistent torque at low rpm, plus excellent high-rpm performance. 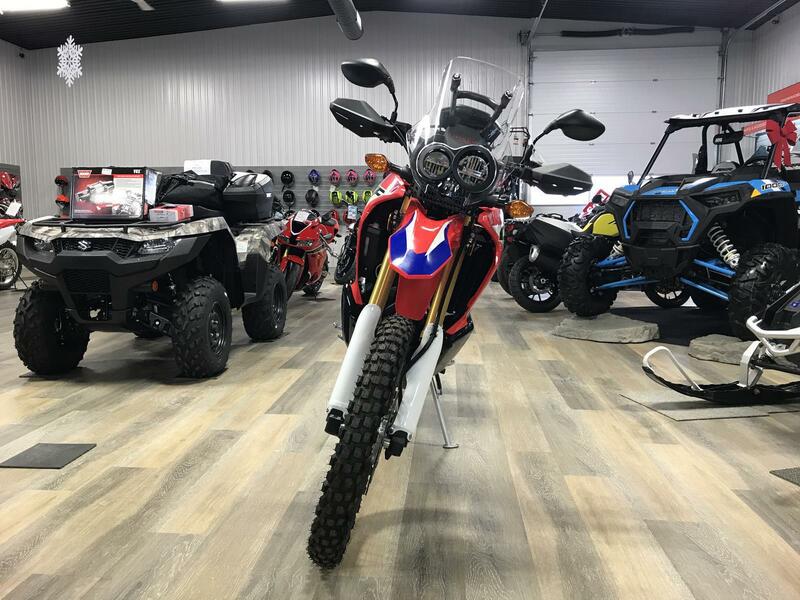 The engine's wide spread of power makes the CRF250 Rally easy and confidence-inspiring to ride, while also returning impressive fuel economy. 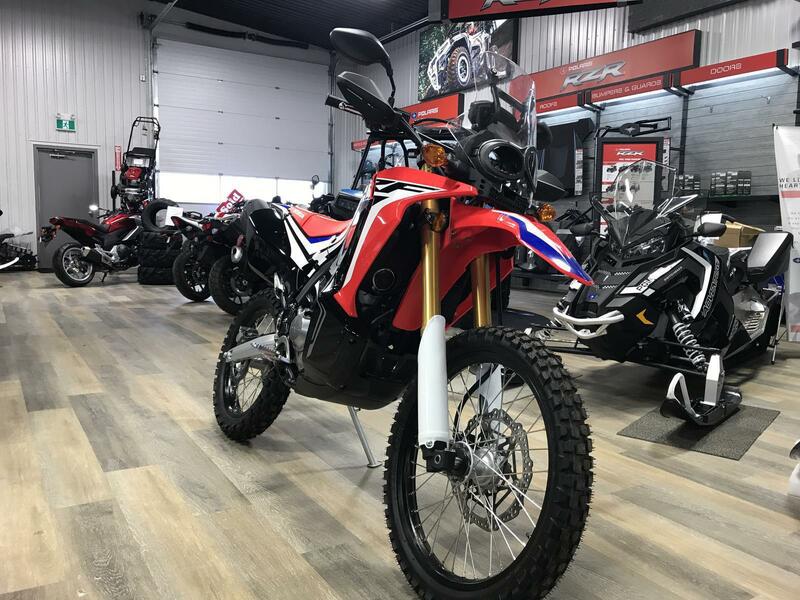 Dynamic performance: The engine's intake and exhaust systems are engineered to boost horsepower, while also increasing torque at low rpm—all without changing the CRF250 Rally's easy-to-ride nature. Crisp operation: The engine's Programmed Fuel Injection (PGM-FI) system continuously monitors several variables to ensure the correct fuel mixture, thereby delivering optimal performance and remarkably crisp throttle response over a wide range of operating conditions. A large 38 mm throttle body and extended air-intake tube contribute to the engine's significant power. Smooth response: The PGM-FI system incorporates an Idle Air Control Valve (IACV) to smooth responses to small changes in throttle position. 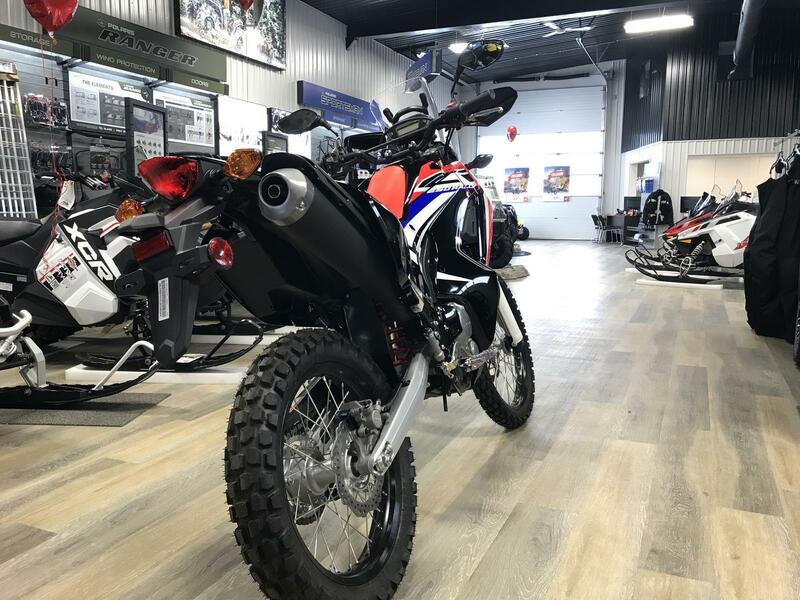 Lightweight exhaust system: The exhaust system's header pipe is tapered rather than straight, which combines with a compact two-chamber muffler to enhance overall power and torque while also reducing weight. Compact design: Extremely compact roller rocker arm design for the low-friction valve train allows the use of a smaller cylinder head. Quiet operation: The crankshaft runs in plain bearings for quieter operation and the big end of the connecting rod spins in a needle bearing, both contributing to the engine's high-performance credentials. Reducing vibration: A gear-driven counterbalance shaft helps quell engine vibration for enhanced rider comfort. It's located so close to the crankshaft that the balancer weight passes between the two crank weights to keep the engine as compact as possible while improving mass centralization. Upgraded suspension: To enhance the CRF250 Rally’s off-road capabilities, the Showa suspension has been significantly altered compared to the CRF250L, including increased front and rear travel, and a new link and connecting rod in the Pro-Link® rear end The result is improved control over rough surfaces without hampering supple comfort on the road, plus an extra 25 mm of ground clearance. 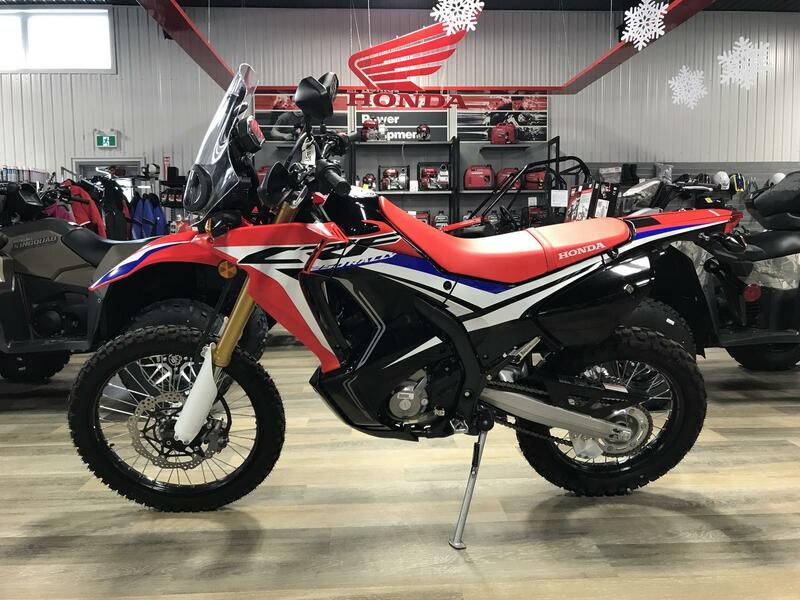 Extra stopping power: The Rally’s adventurous spirit requires a powerful braking system, including a floating wave disc at the front with a larger 296 mm diameter (compared to 256 mm on the CRF250L). Extended range: A large 10-litre fuel tank with hinged cap, combined with the engine’s excellent fuel efficiency, allow you to extend your adventures far off the beaten track. 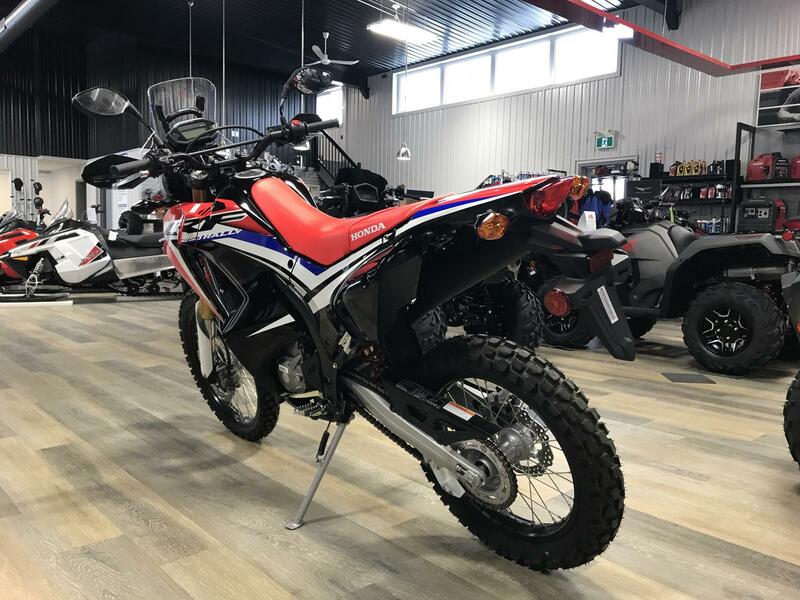 Added protection: A sturdy engine skid plate and durable body panels help to protect your CRF250 Rally when the going gets really tough. Digital data at a glance: Behind the Dakar-style windscreen you’ll find a fully digital multi-function instrument panel that displays a wealth of information, plus a power socket and a mounting bar for attaching a GPS or other accessory. See your way clearly: Bright, dual-chip, frame-mounted LED headlights are adjusted so that the low-beam lights cover a much wider range than usual, while the high-beam lights illuminate the road and the surroundings farther ahead. Secure storage: A larger lockable storage area inside the left side cover provides ample room for tools plus a map, a spare pair of gloves, or other small items.